Fleetwood Mac, iconic British-American rock band, is gearing up for a major U.S. tour in 2013. To help celebrate the tour, the band is set to reissue their landmark album, Rumours. 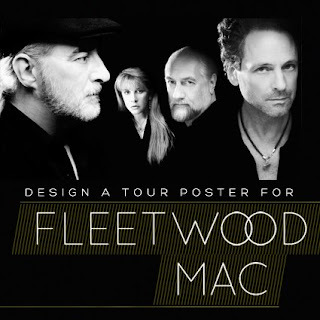 Help ignite the Fleetwood Mac reunion by designing an official tour poster for the band. One winner will receive $500 and your design will be printed and personally signed by Mick Fleetwood himself!